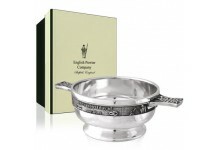 Traditionally the "Quaich" which originated in the Scottish highlands was used both for a "Cup of Welcome" and also when offering a farewell drink. 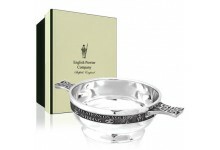 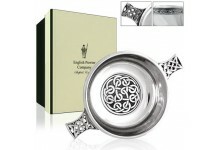 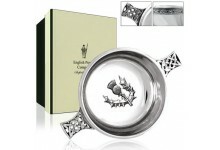 The Quaich is made from pewter and a favourite drinking cup throughout Scotland. 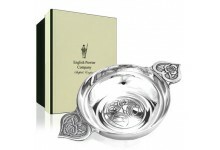 Pewter Quaich ISLAY Collection 4.5"
Claymore are rightly proud of the traditional and elegant items within our pewter range, and some..
Pewter Quaich ISLAY Collection 5.0"
Pewter Quaich ISLAY Collection 5.5"
Pewter Quaich JURA Collection 4.5"
Pewter Quaich JURA Collection 5"
Pewter Quaich JURA Collection 5.5"
Pewter Quaich ARRAN Collection 4.5"
Pewter Quaich ARRAN Collection 5"
Pewter Quaich ARRAN Collection 5.5"
One of a number of outstanding wedding themed items within the Range, this wonderful Pewter Lovin..
Pewter Quaich "To Love And Cherish"
A wonderfully thoughtful and original choice for a wedding gift, this high class pewter Quaich Bo.. 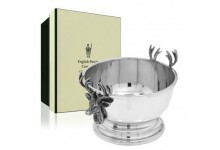 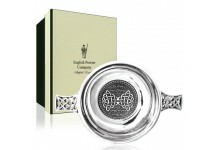 This pewter quaich has a stunning mirror-like finish and is perfect for engraving. 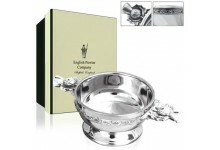 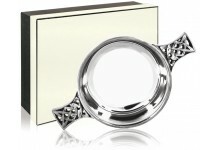 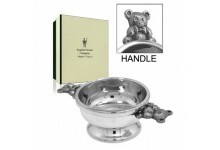 It features so..
Claymore are rightly proud of the traditional and elegant items within our range of pewterware, a..